Every job in the United Kingdom, no matter how simple it seems, is vital to the nation’s economy and the millions of Britons depending on those individuals. Hairstyles are a very personal expression of who we are, and it is the role of hairdressers to craft that expression. From a polished look for the corporate world to a trendy look for the fashion world, hairdressers have to know how to do it all. Although few would realise it, hairdressers have managed to escape the brutality of the recession in recent years. The industry generates £5.25 billion annually, and currently employs roughly 245,000 employees who service 37.8 million customers. Analysis from Get Britain Working in July 2013 found 17,438 job openings in the 34,000 salons and 3,000 barbershops of the UK. As a hairdresser, how can you craft the best CV to land one of those 17,000 jobs? The factors that should be addressed first on a hairdresser’s CV will depend upon the experience of the individual. Success in the field of beauty and fashion is often determined more by the skills and knowledge the individual possess than their education and technical training. This isn’t to say that the latter factors are without value, but merely that the former carries greater weight. 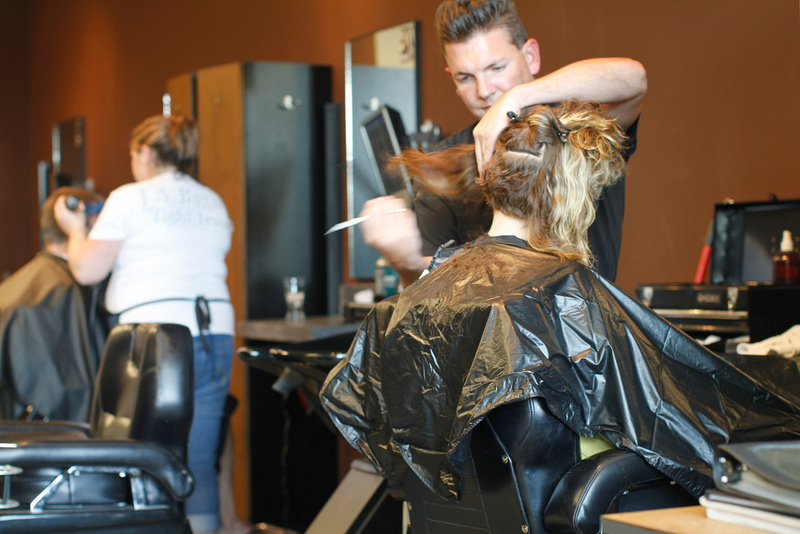 Once you’ve made it clear to potential hiring managers at salons and barbershops that you have the skills to succeed, it is time to lay out for them your relevant experience in the field. Is this your first job in the beauty and fashion industry? Have you previously worked as a level 2 or level 3 hairdresser? Hiring managers are going to want to see your relevant experience in the field, especially if you are applying for a position above your current level. In order to land a job above your current level it will be vital that your CV shows what tasks were completed in your previous role and how they prepared you for the next step. For example, as a level 2 (or junior hairdresser) your duties may have included greeting customers, shampooing hair in preparation for the appointment, preparing supplies (towels, scissors, etc. ), and maintaining the clean appearance of the salon. A level 3 (or senior hairdresser) by contrast would have spent more time cutting and styling, colouring or straightening, scheduling appointments, and even ordering materials. As a level 2 hairdresser applying for a level 3 hairdresser position, your CV needs to show that you’ve spent time mastering the duties at your current position in preparation for advancement. Additionally, if you’ve specialised in working with particular clients or unique techniques, make sure to highlight those facts in your experience section. If, for example, you have experience styling African or Caribbean hair that needs to be included on your CV. 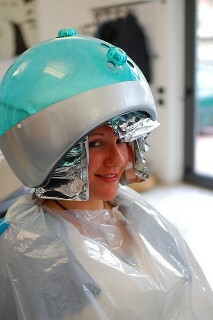 Working as a hairdresser requires good character and a strong personality. Finally, you’ll want to close your CV with any information about the training and education you’ve received that is relevant to your career as a hairdresser. For those who have years of experience in the field, education and training information can safely be placed further down the CV. If, however, you are applying for your first job as a hairdresser you’ll want to consider moving education and training ahead of experience. The fashion and beauty industry is all about showing off an “X” factor in your personality, along with the relevant skills and training necessary to succeed. Follow the steps above and you’ll have a strong CV that will stand out in a crowd and help you land the role as a hairdresser you desire. What qualifications are needed for becoming a Hairdresser? The entry level qualification is NVQ Level 1. You can then build from there, through to Level 4 – this is the highest level in the industry and is generally required for managerial level positions. On average, it takes around 3 years to fully qualify. During this period, you should be willing to work from the bottom rung of the ladder – this could involve basic tasks, such as sweeping the floor, washing hair and making drinks. If you’re aged 16 – 24, you may be able to enroll on an apprenticeship. For more senior positions, you could also consider completion BTEC / HND and degrees in hairdressing and salon management. Do you have to have a particular personality to become a Hairdresser? In general, a Hairdresser needs to have an outgoing, chatty personality who demonstrates a genuine interest in their customers. You’ll need to be sociable, extrovert and confident and strive towards making customers happy. What are the hours like for a Hairdresser? Each salon will have different working hours. However, the job usually involves long hours and hard work. You’ll therefore need to be prepared for this. What other careers are available in the health and beauty industry? There are numerous jobs in the health and beauty industry – just a selection include: Acupuncturists, Aroma therapists, Herbalists, Homeopaths, Massage Therapists and Reflexologists.